THOMPSON, Sir JOHN SPARROW DAVID, lawyer, politician, and judge; b. 10 Nov. 1845 in Halifax, seventh and last child of John Sparrow Thompson* and Charlotte Pottinger; m. 5 July 1870 Annie Emma Affleck*, and they had nine children, five of whom survived infancy; d. 12 Dec. 1894 at Windsor Castle, England. John David Thompson was educated at the Royal Acadian School and the Free Church Academy in Halifax. He was a demure, quiet lad whose shyness his father attempted, with some success, to overcome by having him give recitations of poetry at school ceremonies and later to meetings at the Halifax Mechanics’ Institute, of which Thompson Sr was secretary for a number of years. He also taught his son a form of shorthand, one he had learned when he had first come to Halifax in 1827 and used when reporting speeches for Joseph Howe*’s Novascotian, or Colonial Herald. It was to serve both father and son for reporting trials and the debates of the Nova Scotia House of Assembly. Of John David’s six brothers and sisters only a little is known. 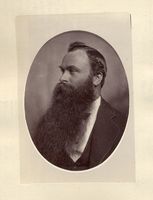 His two oldest sisters died in the late 1840s; his brother William went to South Africa in 1859 after an unsuccessful career as deputy surveyor of Lunenburg County, and died there of drink – despite, or because of, the stern temperance principles of Thompson Sr. His other brother, Joseph, emigrated to Texas in 1866 and died the following year of yellow fever. Another sister married in 1867 and moved to Barrington. Thompson Sr died in October 1867. (At about this point, probably as a mark of filial reverence for his father and his father’s Irish family, John David adopted the name Sparrow – he was to use the name John Sparrow David Thompson henceforth.) Thus, by 1867, when he was 22, Thompson’s family had broken up. His one remaining sister and his mother were almost wholly dependent on him; the small family home on Gottingen Street was probably still carrying a mortgage. Thompson started his professional life young and with heavy burdens. 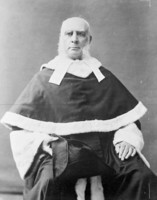 He had been admitted to the Nova Scotia bar in July 1865 after articling with Henry Pryor. 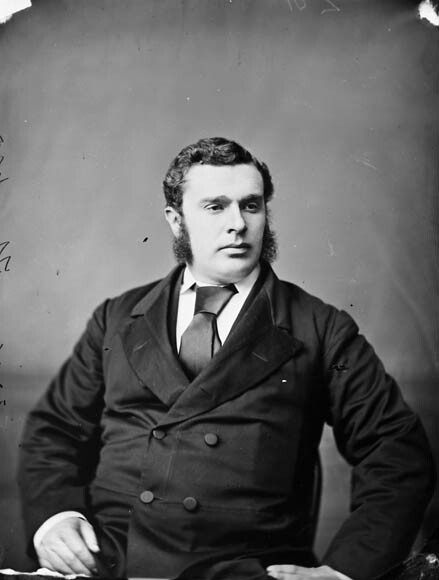 In 1869 he went into partnership with Joseph Coombes, a lawyer with something of a court-room reputation, which young Thompson may have envied owing to his own diffidence. The partnership lasted until 1873. From 1868 to 1873 Thompson also reported trials and assembly debates. Some months before his father’s death Thompson had met Annie Affleck, who lived down the hill from his parents’ home. She was his age, and may have been working in a Halifax shop or helping her mother with a still growing family. Thompson’s courtship was long, intense, even arduous. Annie was a high-strung, vigorous, passionate young woman, intelligent and attractive. What she admired in Thompson was his intellectual capacity and his modesty joined to moral strength. He seemed to be a man she could lean on. As early as the autumn of 1867 Thompson was at Annie’s home six nights a week, taking her for a walk or teaching her French and shorthand. The progress of their relationship is recorded in Annie’s diary, important parts of which are in the shorthand Thompson had taught her. The reason for Annie’s shorthand was to keep the more intimate details of their courtship from her relatives. The Afflecks were Roman Catholics, and they were not sure they wanted Thompson, the son of a reputable but Methodist family, courting their eldest daughter. Thompson’s intensity, and Annie’s willingness to countenance it, seems to have been disconcerting to her family and some of their courting was carried on clandestinely. Thompson’s frequent notes, with parts in shorthand, were “smuggled” – Annie’s word – into her house. His own family’s objections may have been the more serious. Not only was Annie a Catholic, but Thompson was the sole support of his mother and sister. His mother was Presbyterian, and she may have found Roman Catholicism difficult to accept. Thompson’s father had always been insistent upon toleration of Roman Catholics as a working principle for his Methodist faith, Irish Protestant though he was. He had specifically forbidden his children, for example, to have anything to do with the Orange order. Whatever the nature of his family’s objections – the sources reveal only a void – Thompson did marry Annie Affleck, on 5 July 1870, in the bishop’s parlour in Portland, Maine. An episcopal dispensation was necessary for Annie’s marriage to a Protestant, but the archbishop of Halifax was then in Rome and the closest bishop was in Portland. Annie’s mother escorted her there for the wedding. The newly-weds moved into Thompson’s family home. Early in 1871 the dominion census-taker recorded them there, Thompson and his three women, his wife, his mother, and his sister: one Roman Catholic, one Presbyterian, and one Methodist. 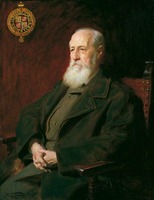 Thompson still called himself a Protestant, but he was not to remain so for long. In April 1871, when Annie was four months pregnant, he was christened a Roman Catholic (with his original name) in St Mary’s Cathedral by Archbishop Thomas Louis Connolly*. The change had been coming for a long time. It seems to have been part of Thompson’s search for certainties, a search that had taken him to the Anglican church as well as the Roman Catholic. He may have been seeking a better articulated eschatology, a faith whose philosophy comprehended more certainly the realities of earth and the mysteries of heaven. One major influence was Connolly, who in 1867 had preached a series of sermons on the Roman Catholic faith. Both man and argument attracted Thompson. Probably his mind was made up by the time he married Annie, but he deliberately waited nearly a year, to prove to his friends and clients that the decision was his, that he had not turned Catholic simply in order to marry a Catholic girl. Nevertheless it was risky professionally. 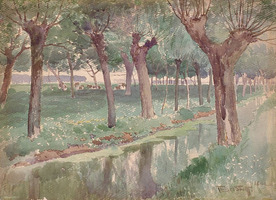 Thompson seems to have believed that he had cut off his chances of professional success. Some of his friends thought so too. To his great satisfaction, not a single Protestant client left him. It speaks much about the respect he already enjoyed in Halifax. In 1872 he was able to buy a house half a mile west of his old home, where his mother and sister continued to live. Willow Park was a large old frame-house on four or five acres of grounds that had once belonged to John Young*. Thompson bought it for $12,000 – expensive, for in 1872 prices in Halifax were running high – of which he paid $2,000 down, perhaps using some small property he had picked up. All the children but the first (who had died at birth) were to be born there. 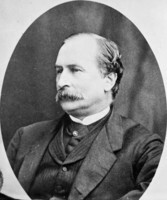 Thompson was elected in October 1871 as an alderman in Halifax’s Ward 5, was re-elected three years later, and would remain an alderman until October 1877. Ward 5 was the largest and most populous in the city, and it gave Thompson his start in politics. He and Alderman Lawrence Geoffrey Power began by putting together an organized cumulation of all the laws of Nova Scotia that applied to the city of Halifax. It was typical of him. He liked to make order out of confusion, to clean up, clarify, codify, and throughout his later career he would do the same. The monuments he left behind him were characteristic: besides Halifax’s charter, the Nova Scotia Judicature Act of 1884 and the Canadian Criminal Code of 1892. 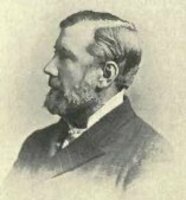 He served as secretary for the commission that ran the new Point Pleasant Park, an area of some 200 acres taken over by the city in 1873 from the British army, which he was partly instrumental in getting under way. 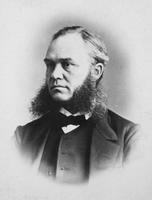 He was on several committees, but his most important work was on the Board of School Commissioners, 1873–78, jointly appointed by the province and the city. Thompson tried so far as possible to mitigate the contentious issues of the 1870s between Catholics and Protestants that racked New Brunswick and Prince Edward Island, and inevitably crossed into Nova Scotia. In part it was owing to him that the working of Catholics and Protestants within one single school system (begun in 1865) survived this troubled period. Nova Scotia did not then have a legal separate school system, nor has it, in all essentials, today; it has an informal one. In the summer of 1877 the Halifax Fisheries Commission met, pursuant to the arrangements made by the Treaty of Washington in 1871 [see Sir John A. Macdonald]. Canada had been given rights in the American shore fisheries, Americans were given access to the Canadian, and the patent difference in value in favour of the Americans was to be the subject of arbitration. The American delegation, conscious of their weakness in knowledge, hired Thompson to help them prepare their argument. They did not, however, do well in the 1877 arbitration [see Samuel Robert Thomson*]; the basic reason was the weakness of their case, but contributing were the conduct of the American on the arbitration tribunal, Ensign H. Kellogg, fatuous and bibulous, and chairman Maurice Delfosse’s sympathy for the Canadian member, Sir Alexander Tilloch Galt. That autumn, on completion of his term as alderman, Thompson was persuaded by Conservative friends in Halifax to stand in a provincial by-election for Antigonish County. Thompson’s political development had been slow. 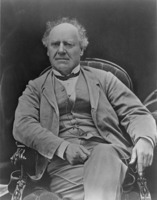 His father had been a close friend of Joseph Howe for many years and he had grown up in a reform household. 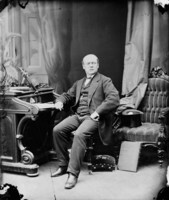 Father and son followed Howe into anti-confederation, but in 1869, when Howe joined the cabinet of Sir John A. Macdonald, Thompson seems to have accepted confederation as inevitable. 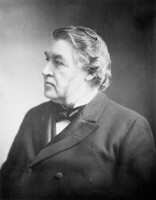 By the time of Howe’s death in 1873, Thompson was already in the Conservative camp, influenced to some degree by Charles Tupper*’s invention, around 1869, of what Tupper called the National Policy. 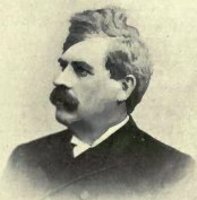 Thompson did not really want to go into politics in 1877; if he did go, he preferred a constituency where he was known. Antigonish was almost terra incognita. But it was open, and the group around the Halifax Morning Herald, a Conservative paper started in 1875, succeeded in getting Thompson to offer himself. A strong push would be needed; Antigonish, like many counties in Nova Scotia, did not welcome outsiders, and for some years it had been held by the Liberals. Thompson, however, got a good deal of help from John Cameron*, then bishop of Arichat, a strong-minded Scotsman, vigorous and well trained. Cameron was a redoubtable figure, convinced he was right, who herded his flock with intelligence, forthrightness, and assiduity. He had come to be very impressed by Thompson, whom he had met in Halifax some years before, at Archbishop Connolly’s. Thompson’s cause in 1877 looked bleak; a complete stranger in Antigonish, with a manner cool and lacking bonhomie, he was a man you had to know in order to respect. After some difficulties, and undoubtedly helped by the full backing of the bishop, Thompson won the by-election. Thompson’s relationship with Cameron was to continue a long time; it was almost like that of son to father, although the bishop was no more than 15 years Thompson’s senior. 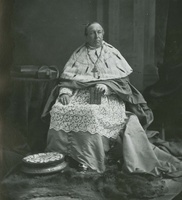 Cameron advised him in the long quarrel between the Sisters of Charity of Halifax and Michael Hannan*, who succeeded Connolly as archbishop of Halifax in 1877. It was a bitter religious feud over the right of the archbishop to control the sisters. Thompson was the order’s lawyer. In 1879, presumably on Thompson’s and Cameron’s advice, the case was taken by the sisters to Rome. They won; Hannan came within an ace of losing his archbishopric altogether, and the sisters were grateful to Thompson ever afterward. In September 1878 the provincial government of Philip Carteret Hill, Liberal but at times masquerading under a non-party label, had gone to the polls. It had hoped to ride to victory on the coat-tails of the anticipated victory of Alexander Mackenzie’s government in Ottawa. Both elections, Nova Scotia and dominion, were disasters for the Liberals. Mackenzie was badly defeated, and Hill’s government was swept out of office just as decisively. Thompson was elected in Antigonish by acclamation. 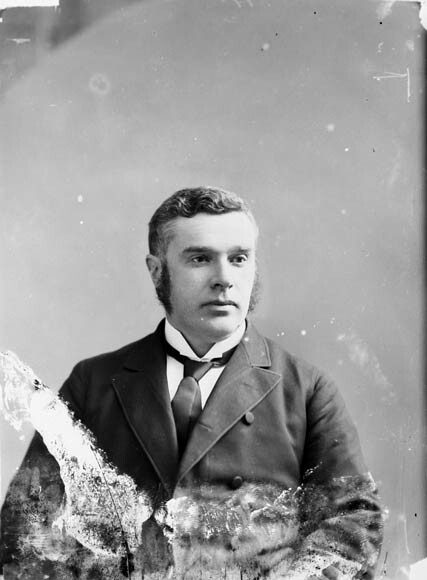 The new Conservative premier of Nova Scotia was Simon Hugh Holmes* of Pictou County. 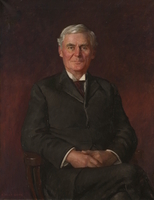 Thompson joined the cabinet as attorney general, a post he would retain for the duration of the government. Having taken a post of emolument under the crown, he had to stand for election again but, despite rumours of stern opposition, he again won by acclamation. The role and function of attorney general, in spite of the long history of the office, has been largely ignored by historians. The administration of criminal law was a provincial responsibility and, as attorney general, Thompson was the chief law officer of the crown, the head, in fact, of the law enforcement system. The office had fallen rather into neglect, mostly because of the incompetence of post-confederation appointees [see Otto Schwartz Weeks]. Thompson worked very hard, and the best source for the nature of the office is the correspondence he received. The work-horse of the Nova Scotia judicial system at the grass-roots level was the justice of the peace, paid only by fees, who could be anything from a cooper to a merchant to a fisherman. Lawyers could make more money defending criminals than acting as jps Thompson was frequently asked by the justices for advice, especially with difficult cases. The most important duty of the attorney general was to prosecute for the crown in all serious criminal cases. This was a duty manifestly impossible to discharge, and different attorneys general took different views of it. 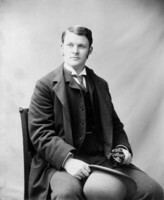 Thompson did all the important criminal prosecutions for the county of Halifax, the largest and most populous in the province. One of the cases he did take outside Halifax was that against Joseph Nick Thibault of Annapolis County, accused of murder in 1880. There was much circumstantial evidence and great care was required in developing the case. Thompson feared a miscarriage of justice if he did not handle it himself. Patiently, quietly, he tied together the circumstantial and eye-witness evidence, with the result that Thibault was convicted. Thompson worked so hard, both as attorney general and as a member of the government, that he frequently had to stay downtown until the wee hours and then walk the mile and a half to Willow Park after the last horse-drawn omnibus had gone. Annie complained that he was always doing other people’s work for them. He helped pilot through the assembly the County Incorporation Act of 1879, a measure designed to give independent taxing powers to the Nova Scotia counties, making municipalities of them in fact. It was designed to relieve the strain on the provincial budget for roads and bridges. But it was long overdue in any case, though mightily resented by Nova Scotia taxpayers, who had never been enthusiastic about paying taxes, even on their own behalf. The government, however, had a big majority, and it was confident that when the next elections came the good points of the act would be more apparent than the bad. The government’s chronic shortage of funds made it difficult to effect what Premier Holmes dearly wanted – a consolidation of all private and publicly owned railways in the province (outside the Intercolonial Railway, which was run by the federal government) under one aegis, called the Nova Scotia Railway. It was the premier’s pet project, but the whole cabinet was necessarily involved in trying to make it a reality. The legislation was put in place in 1881 and 1882, but by that time Holmes had lost so much credit both with his colleagues and with the party that on the eve of new elections in May 1882 he was forced to resign. Thompson had to step in and become premier. It was the last thing he wanted. He was fed up with politics and only the full pressure of the party, provincial and federal, kept him in. Thompson took his government to the polls in June 1882, and was defeated. It was not a bad defeat; immediately after the election he believed he could patch a government together, with the help of some of the more versatile and high-minded members of the opposition. He had the respect of both sides of the house, and the attempt might have succeeded, had it not been for one fatal handicap: an opening on the Supreme Court of Nova Scotia that everyone believed was waiting for him. In fact, the appointment was promised to him as a reward for taking the party through the election. There was no way that Thompson could form a coalition government without a firm commitment that he would stay in office. Since he could not make it, the coalition collapsed and he resigned, in July 1882. He was appointed at once, by Sir John A. Macdonald, to the Supreme Court. For the next three years he was what Macdonald used to call a legal monk. He liked the role; he was as good a judge as he had always imagined he would be. His first court must have seemed very odd, for Thompson, at 36 years of age, was the youngest man in the room. His decisions were liberal rather than narrow and technical. In criminal cases, he was apt to be charitable where the evidence was uncertain, but firm, even unforgiving, where it was clear. His particular bête noire was cruelty, especially against women or children. 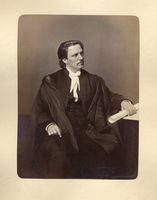 As a judge he found time to help found the Dalhousie law school [see George Munro]. In the spring of 1883 Thompson, Wallace Graham*, and Robert Sedgewick* went to see how things were done at the law schools of Harvard, Boston, and Columbia universities. 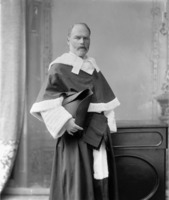 Thompson came back convinced that the human resources existed in Halifax to fashion a good law school; what was really needed was a first class law library, and he and others set out to get it together. 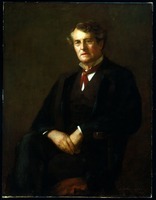 During the law school’s first terms, 1883 and 1884, he gave lectures on evidence. They were so good that even eminent lawyers from downtown Halifax used to come to listen to him. Thompson’s talents were in fact sufficiently noteworthy that the Nova Scotia Liberal government, which had defeated him two years before, asked him to draw up a plan for re-organizing the provincial Supreme Court. Thompson’s Judicature Act of 1884 was a thorough reform of its working procedures, so well done that it stood unchanged until the 1950s. Thus Thompson happily continued the even tenor of his way. His children were born at Willow Park; his salary though not large was solid; he could look forward to another 40 years of genteel poverty, no doubt becoming in time chief justice of Nova Scotia. He had no ambitions other than to be a well-read judge, learned in the law. In 1885, however, the government of Sir John A. Macdonald was looking for new men. The work of Macdonald’s cabinet was not being handled well, either in administration or in parliament. Too many ministers were old, or sick, or worn out. Especially was this true of key members, Sir Samuel Leonard Tilley in the Department of Finance, Sir Alexander Campbell in Justice, Sir David Lewis Macpherson in the Interior. Few of the others were capable of performing the business of the government in the commons. Much of this fell upon Macdonald’s shoulders; of necessity it could not all get done. A major reconstruction was clearly required. Before that could be effected the North-West rebellion broke out [see Louis Riel*], and the government now hung on for its very life. Macdonald needed, among other ministers, a new one from Nova Scotia. The normal post-confederation complement of cabinet members from Nova Scotia was two. 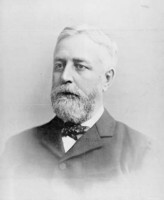 Tupper had resigned in 1884 to become high commissioner in London. The other minister was Archibald Woodbury McLelan*, not too popular in his native province and getting old. There were not many good candidates among the Conservative mps from Nova Scotia, and they were apt to be jealous of each other; but they all agreed that there was one man who, if he could be persuaded, they would willingly accept: John Sparrow David Thompson. Thompson had no interest in leaving the bench to go back into the “slime,” as he put it, of politics. Overtures in 1884 and early in 1885 he turned down politely and firmly. Halifax mps begged Macdonald to be persistent; Thompson’s presence in the government would more than make up for the trouble in getting him. The three most powerful persuaders were not politicians. One was John James Stewart*, editor of the Halifax Morning Herald, the leading Conservative paper in the province; another, Bishop Cameron; and most important, Annie. Cameron told Tupper, another of the many persuaders, that there would have to be conditions: especially that Thompson should go straight into the most senior portfolio in the government, the Department of Justice. Such a proceeding had never occurred before, especially not with a young, new minister wholly inexperienced in dominion politics. It was a measure of Macdonald’s determination that he was willing to go this length, and to push Campbell, his old friend and colleague, out of Justice into the Post Office. But even that move would not have been sufficient to bring Thompson to Ottawa had it not been for Annie. Thompson liked his life as a judge, and he already had a provincial reputation for being fearless, independent, and able. But Annie looked at his colleagues on the Supreme Court – “those old crows” she called them – and felt that her young and able husband needed more challenges than those supplied at the Supreme Court on Spring Garden Road. Annie was a woman high-mettled, ready to dare anything; and in the end, when the question was fairly on the line, it was she who decided that Thompson should take the plunge into federal politics. 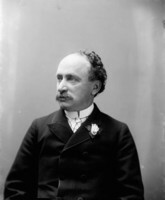 He was sworn in as minister of justice late in September 1885, in Ottawa. He would have to have a constituency. The current member for Antigonish was Angus MacIsaac, a Liberal, which was awkward, but MacIsaac dearly wanted a county court judgeship, something eminently in Macdonald’s power to offer. A deal was made. 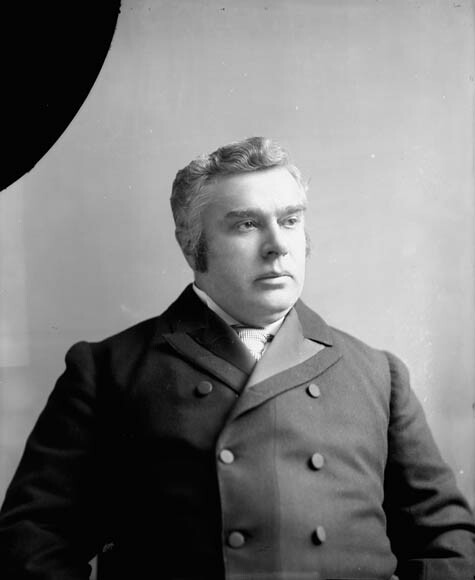 MacIsaac resigned his seat and took the Antigonish County judgeship; Thompson, after a hard fight, was elected for Antigonish in October 1885. Thompson’s speech brought him into the forefront of the party. He was not known at all when Macdonald first brought him to Ottawa. Some mps had beseeched Macdonald not to appoint him; Campbell thought he looked like a failed priest, a too innocent Christian who would never survive the lions in the House of Commons. But the commons is a curious place. It distrusts rhetoric and high-flown style; whatever flourishes it tolerates have to come from the strength of the argument. Thompson did not seek to convince the house by declamation or sounding phrases, but by the force of his facts, by the reasonableness of what he was saying, and by his transparent fairness. From the very beginning he had its ear. He spoke courteously, quietly, with a low, clear, musical voice, as if he were trying only to get at the truth. And parliament was persuaded. 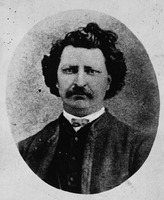 The vote defeating the motion of regret for Riel’s execution surprised everyone, including the Conservatives, for until Thompson’s speech they had made a poor fist of defence. 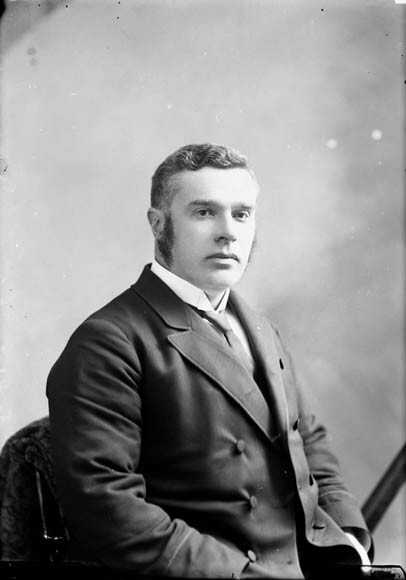 Thompson worked hard at his parliamentary career. He became master of the order-paper and of the government business before the house. Macdonald badly needed a good generalist. 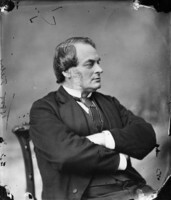 Other ministers, Mackenzie Bowell*, Joseph-Adolphe Chapleau, Sir Adolphe-Philippe Caron*, McLelan, and Tilley, were all capable of answering questions about their own departments, Sir Hector-Louis Langevin* perhaps capable of rather more; but there was no one really, not since Tupper had gone to London, who could be counted on to help cope with an opposition in full attack. 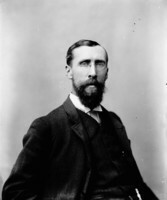 By the end of that first session in 1886, Thompson had shown his mettle, and Macdonald began to lean more and more upon this minister who was always master of his own department, of himself, of government business, and who was willing to shoulder whatever he was asked to do. Within two years Thompson was indispensable. Thompson’s administration of the Department of Justice was also exceptional. Few ministers of justice worked as hard. The main bent of his administration can be summed up as care, courtesy, and concentration. He was a stickler for getting departmental work done and done well. He was not a martinet; he drove himself, and expected others to do their best. There was no side to him, nor did he throw his weight around. He believed in giving credit where due, to his junior officers as well as to others. He would promote a good man from within the public service, resisting patronage claims for someone on the outside. Especially was this true of the prison system, where the political pressures on, say, the appointment of a warden, were fierce. He was also conscientious in going over the files on capital cases. He recommended that at least two men be reprieved from the death sentence, despite the advice of his departmental officers, because he felt the evidence against them justified conviction but not execution. Thompson was sentimental, soft in some ways, but he was capable of steeling himself; in cases of cruelty to women or children he could be implacable. 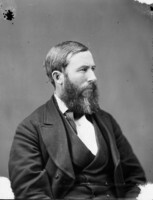 In May 1888 Justice William Alexander Henry* of the Supreme Court of Canada died and there was immediate speculation that Thompson would succeed him. Several vacancies occurred in the court over the next few years; Thompson’s name was associated with all of them. He thought about them, for he still did not like political life, but nevertheless he appointed, in succession, two of his own deputy ministers, George Wheelock Burbidge* and Robert Sedgewick. Macdonald and the party needed him, and Thompson simply endured political things he disliked. Macdonald put him through his paces doing the political circuits in southwestern Ontario in the fall of 1886; familiarity with public speaking made Thompson like it no better. “You have to give your best and your worst,” he used to say, and he found that difficult. Audiences seemed to him always at the boiling point. You could not reason: you could only fire off shots. 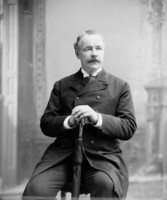 Thompson’s performance in 1887–88 at Washington during the fisheries negotiations between Canada and the United States made him more indispensable. Tupper was the main Canadian delegate, and technically Thompson was only a legal adviser; but Tupper was not a lawyer, just a knowledgeable, noisy politician, and he needed someone like Thompson who knew the legal side. 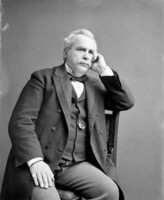 Thompson’s experience advising the Americans at the Halifax arbitration of 1877 made him especially valuable. Joseph Chamberlain, the senior plenipotentiary for the British-Canadian side, was impressed, so much so that although Thompson was the youngest member of cabinet, he was awarded a kcmg in 1888 with the assent of two grateful governments. The treaty of 1888, so laboriously put together, was rejected by the American Senate. Both governments then fell back upon a usefully arranged modus vivendi. In weighing questions of copyright, North American fisheries, the projected Alaskan boundary, Bering Sea sealing – all of which arose between 1885 and 1894 – Thompson could be counted on to make the subject his own and produce an elegant state paper. Macdonald never had a minister like him for handling tasks that required mastery of detail and a clean, clear, firm, and exhaustive argument of the government’s case. 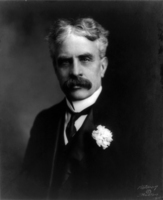 Macdonald had been Canada’s minister of external affairs long before that department was invented; but in 1890 he was 75 years old, and by that time Thompson had become Canada’s unofficial but real second-in-command in external affairs. He and Macdonald did not always agree; Macdonald was more disposed than Thompson to the spirit of quieta non movere. Thompson was more positive and aggressive, his nationalism more sensitive. Thompson’s recommendations to cabinet as minister of justice were of the same quality. Every provincial statute was gone over by his department, and controversial or awkward sections were looked at by the deputy minister or Thompson himself. Many of his predecessors in the office simply put “approved” on the departmental recommendations, but Thompson outlined many of them himself. After his appointment some long feuds with the provinces ended, or were put to the test of court arbitration. Most notably was this the case with Ontario. Macdonald had kept up a running battle with Oliver Mowat*, premier of the province, through the early 1880s; when Thompson got fairly into the saddle, a correspondence began, courteous, tractable, but firm. Mowat was willing to take all the power he could get; Thompson was willing to argue such matters on their legal merits, and to put them to the arbitration of the courts. Mowat and Thompson had an agenda of discussion between them from time to time when Thompson was in Toronto. Their relation became cordial, polite, respectful of each other’s position and capacity. 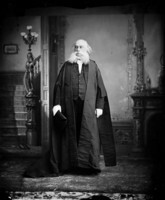 In 1892, when Thompson’s name was being suggested for the chief justiceship of the Supreme Court of Canada, Mowat wrote him that he would be delighted to see him in that office and would trust his decisions, tory though he unfortunately was. The feud with Manitoba’s railway legislation also eased off with an end to the Canadian Pacific Railway’s monopoly in the late 1880s [see John Norquay*]. 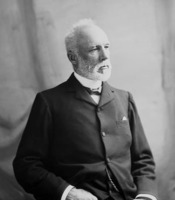 A major area of disagreement was with Honoré Mercier, premier of Quebec, whose district magistrates acts of 1888 and 1889 were disallowed. It is noteworthy, however, that after Macdonald’s death in 1891 not a single statute was disallowed by Thompson. The place for constitutional warfare, he believed, was not political cabinets but the courts. He was confident, perhaps too confident, that courts would produce proper answers. It was the same with the Manitoba school question, which pitted the hard-headedness of the Manitoba government against the intransigence of the Catholic Church [see Thomas Greenway*]. 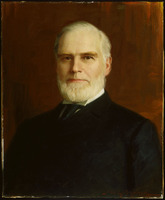 The policy behind the Canadian government’s response to the Manitoba education acts of 1890 – referring the matter to the courts – was suggested by prominent Liberal Edward Blake* in the house in April 1890, but it was cheerfully accepted by Thompson as the only way to dispose of an awkward, intractable piece of legislation, affecting many interests, and both difficult and delicate to deal with politically. If these acts were constitutional, then ex parte decisions by the federal cabinet disallowing them were wrong; if the acts were unconstitutional, the courts would so declare and they would fall to the ground, useless. By this time Thompson’s family was fully established in Ottawa. They had stayed in Halifax until 1888, and the years of Ottawa boarding-houses had been misery for him. Thompson was passionately devoted to his family; an uxorious husband, a solicitous, devoted father, he found Ottawa without his wife and children terrible. Sundays were the worst. He would walk the streets after mass looking in the houses where other men had their wives, their children, and there he was, getting on for 45 years of age, wandering Ottawa like a minstrel. Finally the family came to Ottawa, and Thompson took a house near Metcalfe and Lisgar. They would live in four different rented houses in that same area between 1888 and 1894. He sent his two boys, John Thomas Connolly and Joseph, to the Jesuit-run Stonyhurst School in Lancashire, England, when they arrived at the age of 13 years or so. It was a hard decision, dictated by his own experience. All his life he felt the lack of a well-rounded education; he knew how hard it was to try to get it on one’s own. His Halifax colleague, Thomas Edward Kenny*, mp, had gone to Stonyhurst and commended it. Thompson’s two eldest girls, Mary Aloysia, “Babe” as she was known, and Mary Helena, he sent to the academy for young ladies run by the Religious of the Sacred Heart at Sault-au-Récollet (Montreal North), so that they would learn French properly, something he had set himself to work on after he came to Ottawa. He thought it churlish not to be able to acquit oneself in French. His third daughter, Frances Alice, “Frankie” as everyone called her, seems to have been his favourite. Born in 1881, the last of Thompson’s children to survive into maturity, Frankie began to suffer a disease in her hip joints. She went through operations and treatments from about 1890 onward, with the best orthopaedic advice available, from Dr Thomas George Roddick*, professor of surgery at McGill University. Frankie was at death’s door in October and November 1891. She always required looking after, but, unlike Macdonald’s daughter Margaret Mary Theodora, who was hydrocephalic and mentally retarded, Thompson’s Frankie was bright, intelligent, vivacious, and charmed everyone. Her operations and illnesses were expensive, and kept Thompson perpetually worried about her. He was always hoping that one of those operations would restore her to the bustling little girl who used to hurtle down the path at Willow Park into his arms to welcome him home. A crisis in Frankie’s life came at the time of Macdonald’s final illness; she was undergoing operations in Montreal, and Thompson was stuck in Ottawa. 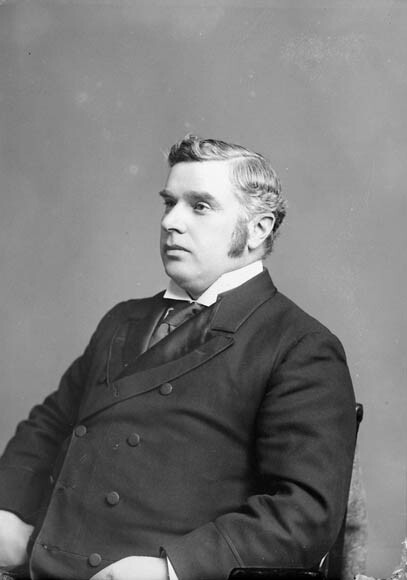 Thompson was the last minister to visit Macdonald before the devastating stroke of 29 May 1891. Following Macdonald’s death a week later, there was a cabinet crisis, with Thompson close to the centre. It was partly owing to Governor General Lord Stanley*, who was sure that Macdonald had indicated his successor in a will, but no such will could be found. There was a delay of two weeks with the party in a turmoil about who should lead. 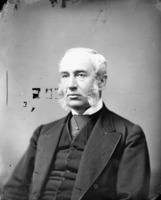 Stanley finally called on Thompson to form a government; he declined, perhaps having no real appetite for power, but also knowing that a considerable section of the Ontario Conservatives would be unhappy with a Catholic prime minister. Thompson recommended John Joseph Caldwell Abbott, who, after hesitation, accepted. In the mean time the inquiry into corruption in Langevin’s Department of Public Works [see Thomas McGreevy] was being laundered in the House of Commons committee on privileges and elections. However, Thompson in the commons and Abbott in the Senate were determined to get to the bottom of the issue; there would be a comprehensive investigation. 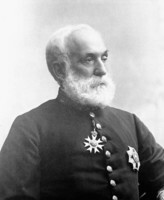 The government hired lawyers to advise Langevin, who seemed unaware of being in any danger; it offered lawyers to Joseph-Israël Tarte* – the principal prosecuting mp – to help get at the facts. The inquiry went on that whole summer of 1891, while on the floor of the commons Liberals tried to make as much capital as they could. Only 27 seats separated them from power; 14 defections from the government’s side would bring it down. Thompson’s policy of getting everything into the open made it possible to rally the Conservatives in the commons. Langevin was forced by the cabinet to resign his portfolio, though he kept his seat. With the Langevin scandal hot and ready to serve, the Liberals had protested a large number of elections; the first by-elections came early in 1892, and as they went on they became a Liberal disaster. Some 50 took place, and the net result was to strengthen the Conservative majority to something like 65 by the end of 1892. Conservatives had not had a majority like that since the palmy days of 1878. This big majority ensured passage of Thompson’s new Criminal Code in 1892. The legislation had been introduced to the commons in 1891, then circulated to the judges for comments, and, in revised form, put through the house. 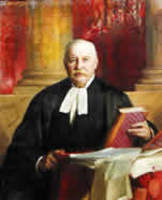 Compiled by Justice G. W. Burbidge, Thompson’s former deputy minister, and Robert Sedgewick, his present one, the Canadian Criminal Code built upon English and Canadian precedents and represented a considerable simplifying of Canadian criminal law and procedure. The anachronistic distinction between felonious crimes and misdemeanours was abandoned; a suspect was allowed to testify on his own behalf; and an attempt was made to lighten the punishment of juveniles. Thompson brought the legislation through in the commons in relative ease, but Abbott had to fight hard in the Senate. In the face of rising clamor o’er the influence of the Church. . . .
We don’t want your able counsel – all we ask for is your name. A cabinet sub-committee was struck to hear argument about a government appeal to the courts under section 93. Did perhaps the wording of the Manitoba Act of 1870 supervene the 1867 BNA Act? The hearing was set for 25 Nov. 1892. Five days before, letters were received in Ottawa by the governor general and Thompson that extinguished any hope of keeping Abbott on. The London doctors had told him his health demanded an instant resignation. He enclosed it, and he recommended Thompson as his successor, even though Thompson had suggested someone else, perhaps John Graham Haggart*. 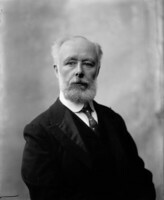 The old cabinet was kept in being for another fortnight, while the sub-committee heard argument, and it was only on 7 December that Thompson was officially sworn in as prime minister. Little opposition to Thompson from within the party remained. There was no one else. “They will find,” said Annie at one point in this long process, “that they cannot do without you.” It was an oddly prophetic remark. Cabinet changes were made. Thompson thought Chapleau might usefully retire to the comfort and security of the lieutenant governor’s residence in Quebec. 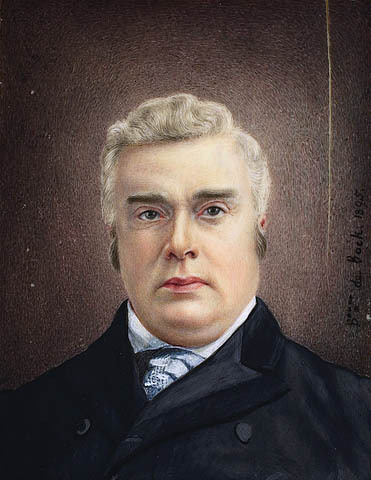 Chapleau was not unwilling, but the premier of Quebec, Charles-Eugène Boucher* de Boucherville, an old ultramontane, would not serve under Chapleau. Thompson tried hard, but old men can be stubborn. Chapleau became lieutenant governor, Boucherville resigned, and Thompson persuaded Louis-Olivier Taillon* to take up the reins of the Quebec premiership. Auguste-Réal Angers*, whom Chapleau had replaced, came to the Thompson cabinet, the one minister from Quebec of unquestioned probity. The Ontario contingent was not very satisfactory either, and Thompson did not have good cabinet timber available. He thought John Carling*, who had been minister of agriculture for years, should retire. But Carling carried a deal of political clout in southwest Ontario, and had recaptured London for the Conservatives in a recent by-election. He was furious at being asked to retire, talked of resigning his seat, which would have fairly put the cat among the pigeons in the several closely fought constituencies around London. The governor general was brought in, and eventually, after hints of a kcmg, Carling consented to give up his department, staying on as minister without portfolio. The knighthood came the next year. 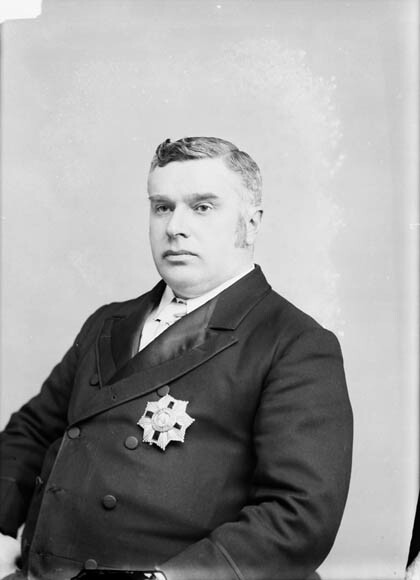 Mackenzie Bowell was created minister of trade and commerce, with two controllers as assistants, one for inland revenue and the other for customs [see John Fisher Wood]. 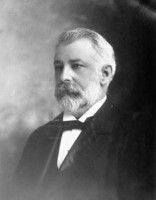 To his great satisfaction, Bowell was sent to Australia to develop Canadian trade, one of the results being the 1894 Colonial Conference held in Ottawa. 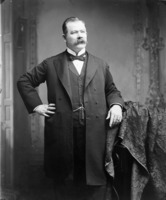 Thompson gave his first major speech as prime minister in Toronto in January 1893. It was about tolerance, and about Canadian nationalism, both natural enough. He was a nationalist and a passionate one. He had difficulty, as did all sincere Canadian nationalists, in equating this conviction with independence. It was not that Thompson did not want to see a Canadian nation, but he believed the moment Canada was independent of British protection, she would be taken over by the United States. American actions in Hawaii were not reassuring, then or later; the tenor of some American newspapers was openly annexationist. 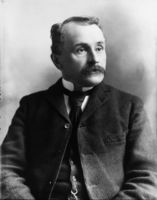 It was also clear to Thompson – confirmed through a Canadian secret agent sent to New York at the end of 1893 – that a small section of the Liberal party was prepared to deliver Canada into American hands if it could. Among this group, called the Continental Union Association, were both Ontario and Quebec Liberals: Sir Richard John Cartwright*, John Charlton*, Mercier, and François Langelier*. 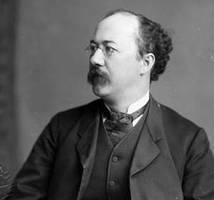 Thompson was sure in 1893 that most of the Liberal party was loyal, Wilfrid Laurier* included; and in the end he realized that the conspiracy to make Canada part of the United States was confined to a small, not very quiet section of the opposition. His own view was that the real independence of Canada would have to wait until Canada was stronger, with numbers big enough to be able to sustain it. He thought that might be when the population reached 50 million. 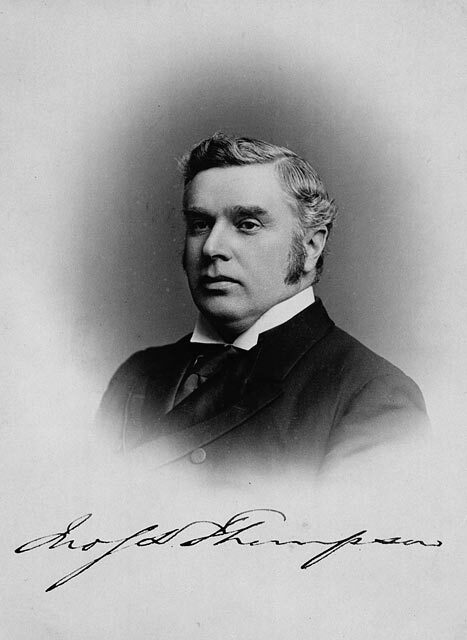 In March 1893 Thompson went to Paris as one of the British judges on the international tribunal to settle the Canadian-American dispute over sealing in the Bering Sea. There were seven judges in all: two British, two American, and three European; the chairman was French. From late March until early July the tribunal heard argument from both sides. The result was a vindication of the position Thompson had taken ever since the first American seizures of Canadian sealing vessels in 1886: there was no justification for the United States claim that the Bering Sea was closed to all foreign sealers. Thompson feared, however, lest the regulations the tribunal was authorized to bring in be inimical to the seal hunt in the future, and opposed them so far as he could. But the regulations, though awkward, were no disaster: a year or two later Canadian sealers were doing better than ever. Outside of the downward revision of the tariff, which was designed to spike Liberal guns, and the Manitoba school question, which was in train in the courts, Thompson’s major concern in 1893 and 1894 was the North-West Territories school question. There the government’s course was made easier by the fact that the territories assembly was under dominion tutelage. Nevertheless Thompson found the going difficult, between the Roman Catholic episcopacy in the west, led by the archbishop of St Boniface, Alexandre-Antonin Taché, who looked to Quebec as the model for a separate school system, and western Protestants, many of whom were from Ontario and believed that a system analogous to the Ontario separate schools was as far as they could go. The question was not helped by extreme statements from newspapers. Some Catholics in the northwest did not know they had any grievances until told about them from outside, or by their bishops; some Protestants were not aware of the “awful” concessions to Roman Catholics until they read about them in the Protestant papers of Ontario. Thompson sometimes despaired of getting bishops, or Protestants, to be sensible. The former were almost worse, for they expected more of a Catholic prime minister than Thompson in good law and conscience could deliver. But in the end the North-West school question was largely solved to Thompson’s satisfaction. Evidence of its effectiveness was the fact that the system was not essentially disturbed until 1905. By 1894 the Manitoba school question had gone through its own evolution. The Thompson cabinet decided to determine judicially the important legal questions raised by section 93 of the BNA Act. At issue were the rights of redress, if any, of Manitoba Roman Catholics in the light of the Privy Council decision in Barrett v. the City of Winnipeg. This issue became the reference case later known as the Brophy case, which finally came before the Supreme Court of Canada in February 1894. The court had a difficult problem, construing Barrett against section 93. It decided the Roman Catholics had no right of appeal, that remedies were at an end. Some in the Conservative party greeted this decision with relief. The Supreme Court had taken away from the government any power of action. To get rid of the whole Manitoba school question, all the Thompson government had to do was, as Caron put it, “sit back and wait.” Many in the party hoped that would happen. Thompson did not see it in this way. He believed there would have to be an appeal to the Privy Council in the Brophy case [see D’Alton McCarthy]. There was. 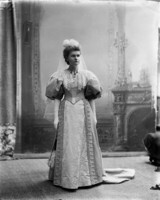 It was being argued, in fact, when Thompson was in London in December 1894. Thompson had gone to London at the end of October 1894, ostensibly to be sworn in as a member of the imperial Privy Council, an honour given for his performance at Paris the previous year. But he also wanted to consult London doctors. The session of 1894 had been long and hard; the government had a powerful majority, but the Liberal opposition, believing this would be the last session before a general election, made as much noise as it could. The session began in February and ended only in July. 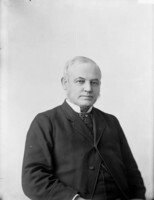 George Eulas Foster*, the minister of finance, and really Thompson’s right-hand man, was away ill during part of the budget presentation, and after his illness he, with Bowell, helped run the Colonial Conference held in Ottawa in June. Thompson had a great deal on his shoulders and the strain was showing. He had never been thin. He was 5 feet 7 inches tall and in 1885 had been about 190 pounds. Over the years he had punished his excellent constitution with massive doses of work, and food; those vast, delicious French luncheons and dinners of 1893 had not made him thinner. By 1894 he was 225 pounds. At the end of the session there was swelling in his lower limbs; he took a holiday in the Muskokas for two weeks, then visited doctors. At first they were optimistic, but before his departure for London they seem to have become less so. At this point, in October 1894, Annie suggested he resign. Thompson, however, could not do that. He had never forgotten how the Nova Scotia party felt when he left them in 1882 to go to the bench. He would have to stay until after the 1895 election; if the government won, he could retire with honour. In the mean time he would see what the London doctors said. In London, medical opinion was optimistic, so much so that Thompson gave himself three weeks holiday on the Continent, travelling with his daughter Helena, and Senator William Eli Sanford and his daughter, to Italy. Thompson was feeling well enough to climb all the way to the top of St Peter’s dome. That was unwise. He returned to London, unwell, on 1 December and started discussions with the Colonial Office on a long agenda, especially Canadian copyright, about which he felt strongly [see John Ross Robertson*]. There were social events. He was invited to go to Hawarden Castle to meet William Ewart Gladstone. His health seemed uncertain, but on 11 December he said he was feeling better than he had for some months. On Wednesday, 12 December, he went down to Windsor Castle to be sworn in as the Right Honourable Sir John Thompson. The ceremony was not long; afterward, sitting down to lunch, he fainted. Taken to a room near by, he recovered, saying, “It seems too absurd to faint like this,” and returned to the table; before he could eat anything, suddenly, without a sound, he fell backward into the arms of Sir John Watt Reid, the queen’s doctor, who had been placed beside him. Thompson did not move or breathe again. A massive heart attack had killed him. Thompson’s death shocked the country, stunned the cabinet, and devastated his family. Not least affected were Governor General Lord Aberdeen [Hamilton-Gordon*] and Lady Aberdeen [Marjoribanks*], who had become family friends. The British government sent his body home to Halifax in the warship Blenheim as a token of its esteem. The government of Canada buried its prime minister with an imposing state funeral at Halifax, on 3 Jan. 1895.
Who saw the right, and held the balance true. [The major source for any study of Thompson is of course the nearly three hundred volumes of his papers at NA (MG 26, D). There is a much less important collection of Thompson papers in PANS, MG 1, 1771 A, and also a substantial run of his letters in the Macdonald papers (NA, MG 26, A). James Robert Gowan* was an admirer of Thompson, and the correspondence between these two legal minds in the Gowan papers (NA, MG 27, I, E17) is rewarding. The papers of the governors general are also worth looking at, especially those of Lord Stanley (NA, MG 27, I, 137) and Lord Aberdeen (NA, MG 27, I, B5). The only major published source is [I. M. Marjoribanks Hamilton-Gordon, Marchioness of] Aberdeen, The Canadian journal of Lady Aberdeen, 1893–1898, ed. and intro. J. T. Saywell (Toronto, 1960). She was a great admirer of Sir John Thompson and never hesitated to tell her journal so. P. B. Waite, “THOMPSON, Sir JOHN SPARROW DAVID,” in Dictionary of Canadian Biography, vol. 12, University of Toronto/Université Laval, 2003–, accessed April 24, 2019, http://www.biographi.ca/en/bio/thompson_john_sparrow_david_12E.html.